A clear side effect of the tight U.S. labor market is that access to a 401(k) or other tax-advantaged retirement plan has become highly-valued by workers at companies of all sizes. In fact, a new Millennium Trust survey found that 88 percent of Americans employed at firms with under 150 total workers said that a lot of weight is given to retirement benefits when considering whether to accept a job offer. Millennials were by far the most likely to say that they look closely at the retirement savings options provided by prospective employers, meaning that these benefits can be a great way to attract and retain young talent. However, only two-thirds of small business owners in this same survey said that they believe it is important to provide their employees with access to a retirement plan, and just 23 percent strongly agreed that offering retirement benefits can help them compete for talent. 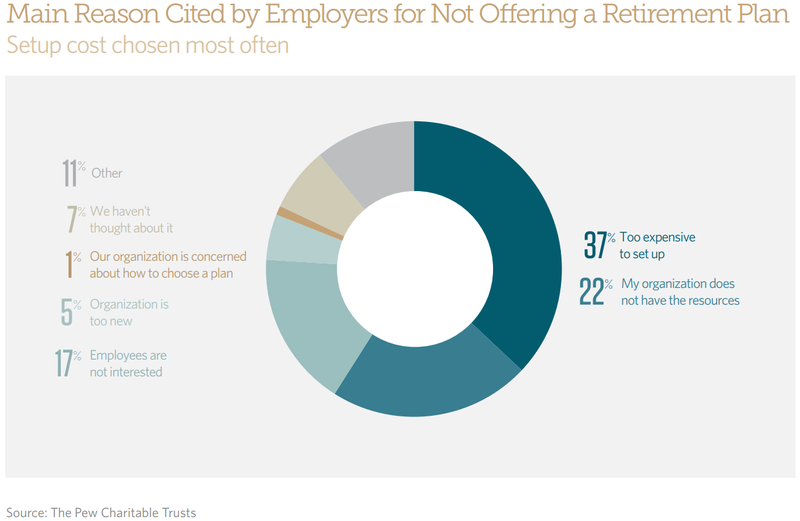 The large disconnect is not too surprising since nearly half (45 percent) of owner respondents said that they have never taken any time to research the retirement programs that could be offered to their workers. As for the small employers who at least looked into providing a retirement benefit, 22 percent still cited a lack of understanding about the available options as a major obstacle in the way of adoption, and almost nine in ten business owners said that costs could be a challenge. Such responses agree with an earlier study by The Pew Charitable Trusts, which found that many surveyed small employers would like to offer a variety of retirement savings options to their workers but feel that they face numerous barriers to doing so. 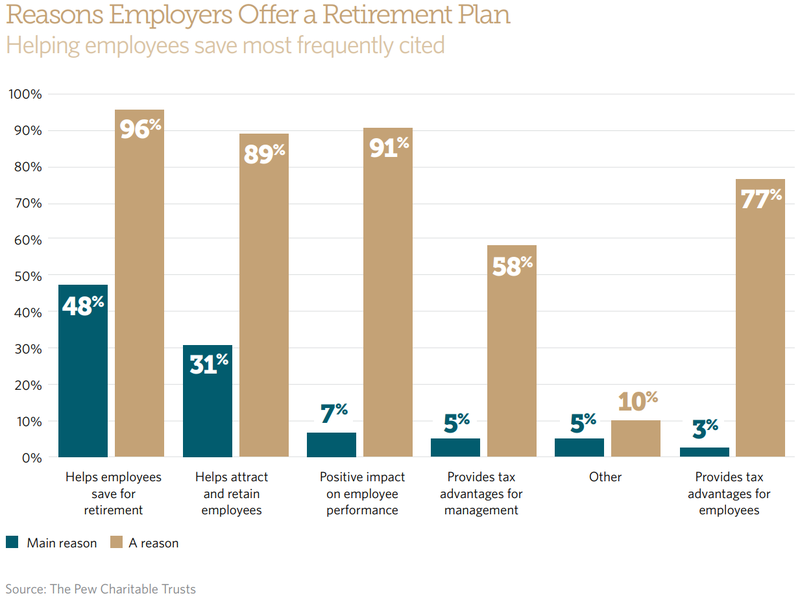 Thirty-seven percent of owner respondents, for instance, said that offering a retirement plan is likely too expensive to set up, and 22 percent cited a lack of organizational resources as another hurdle. Not being able to offer workers retirement benefits as attractive as what can be found at big corporations can hinder the ability of smaller firms to compete for top talent, but one thing that is helping level the playing field is the multiple employer plan (MEP). Indeed, as a review, MEPs allow two or more employers to participate in employee benefit plans that are maintained as a single plan. This pooling of plan assets can lead to a significant reduction in the barriers to entry (costs) associated with offering a high-quality defined contribution plan, and lower administrative burdens and reduced fiduciary responsibilities are possible as well. More information on the advantages of MEPs can be found here, and additional efficiencies are available by working with a professional employer organization (PEO). As always, we are here to help with any questions you may have.